‘Most of us work in “unwell” offices. Workplaces that are not “well” impair employee performance and are at risk of heightened vacancy levels and loss of income potential. Mounting evidence all points in one direction: wellbeing in the workplace is fast becoming a strategic imperative.’ That’s the message from Well Work Place: Making Human Spaces Human Again, a research publication just released from Cushman and Wakefield. The research shows that 76 per cent of workers struggle with wellbeing and the workplace is a major cause of that stress. Meanwhile work-related illness is blamed for a lost 27 million working days in 2014-15 costing the UK economy an estimated £13.4bn. Depression would be the second most common cause of ill-health worldwide, by 2020. All of this is contributing to the 32-33 per cent lower output the UK has compared to the USA, France and Germany. The physical workplace has a major role to play in our wellbeing. And it’s underperforming at best. Just 57 per cent of the more than 250,000 employees surveyed by Leesman, the world’s leading independent assessor of workplace effectiveness, agree that their workplace enables them to work productively with the majority complaining about poor light levels and air quality and too much noise, in addition to a lack of variety in the spaces to work to support their work. Decades of under-investment in the physical workplace is impacting on our health and wellbeing. But many businesses focus their attention elsewhere: on everything from pilates, tai chi and yoga classes to massages, free fruit and feng shui’d facilities without recognising the core issue: that for growing numbers of employees the physical design and technological infrastructure of their workplace does not adequately support them in the work on which their performance, and therefore pay, is measured. No wonder we’re all stressed. 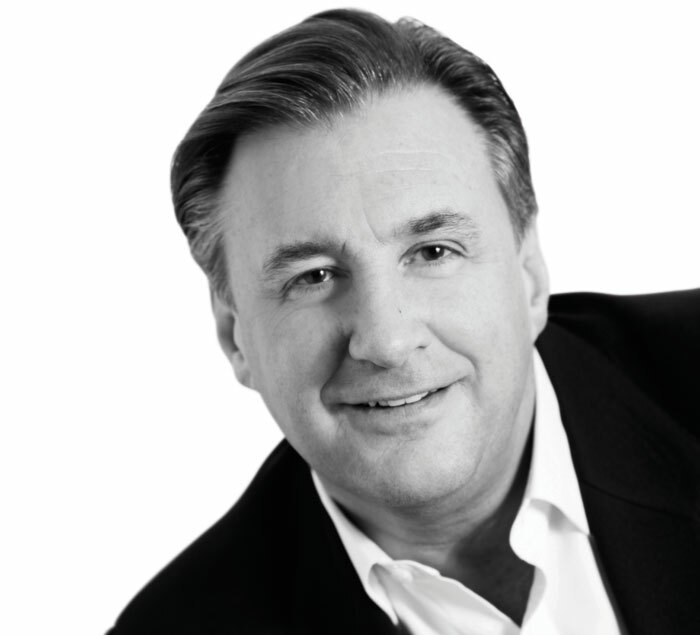 The solution, says Tim Oldman, the founder of Leesman, is to understand what employees do and set about creating an employee-centric workplace that provides the necessary infrastructure and spaces. Employees are increasingly developing complex work profiles – the range of tasks they undertake regularly – meaning that the need for a variety and choice of space is also increasing. And yet only 29 per cent of the employees surveyed by Leesman are satisfied with the level of variety in their office. It’s not enough just to understand the different tasks that people do, but also the types of people working in the space, adds Adrian Powell, director at design and build firm Active. ‘Understanding different personalities, such as introverts and extroverts, and taking into consideration generational and gender differences should filter into how you go about designing a workspace.’ He argues that creating this variety of space and, therefore, ‘allowing people autonomy over how they work is a key determinant of good health and mental wellbeing’. The extent to which employees perceive that they have control over their physical work environment has been associated with improved performance, job satisfaction and collaboration. We’ve all heard the accusation that ‘sitting is the new smoking’. For Matthew Kobylar, director of interiors and workplace strategy at Arney Fender Katsalidis, designing movement into a workplace is the solution to wellbeing. ‘Ultimately, encouraging movement in the layout of the workplace and educating staff that “movement in the workplace is good” is very important,’ he says. He recommends increasing the options on how to work: sitting, lounging and standing workstations help to keep the body in motion. Professional services firm Deloitte, for example, recently installed ‘treadstations’, workstations that give people the chance to increase their steps while taking a conference call or undertaking day-to-day work. ‘Sit/stand desks that allow users to work while standing for a part of the day are good, but in their absence meeting tables that are at standing height also encourage changing the position of the body,’ he adds. For Simon Wild at Formica Group, there is too much focus on indoor environments and not enough on the outdoor. Courtyards and gardens can impact heavily on employee wellbeing, he says, citing research from the World Green Building Council that highlights the benefits of biophilic design on physical and mental health. ‘The intrinsic link between nature and humans suggests that we need contact with the natural environment to sustain our health and wellbeing,’ he says. While the WELL Building standard, an international rating system grounded in medical research focused on human health and wellbeing in the built environment, is gaining momentum, there are still a few UK practical examples of it in evidence. One coming on to the market is 22 Bishopsgate in London, the City of London’s tallest office tower, developed by Lipton Rogers and now being built speculatively by AXA IM Real Assets, with wellbeing in mind. The building offers qualitative characteristics benefiting body and mind: air, nourishment, light, fitness, comfort and spirit. Shared amenity spaces located throughout the building offer places to play, relax and meet others; enhanced fire-stair design encourages physical activity during the day; greater ceiling heights increase natural light; bicycle parking and related facilities support physical activity for commuters; art and craft enrich the experience both for the public realm and occupants; and innovative information technologies improve choice, environmental control and connectivity. All these factors contribute to a creative, collaborative and productive working environment. Another great example is the Porter Building in Slough, a partnership between Landid and Brockton Capital, which recently completed. ‘If you think wellbeing is just a fad – think again,’ comments Landid director Chris Hiatt. ‘That’s what they said about sustainability and now it’s mainstream. We think the same about wellbeing: in five years every new office will be seeking a WELL certification, just as today you can’t build an office without a good BREEAM score.’ Wellbeing will become part of the language of sustainability and good workplace design, he says, because it’s what staff want and expect, and occupiers – in a war to attract and retain the best talent – understand the benefits a healthy workplace provides. 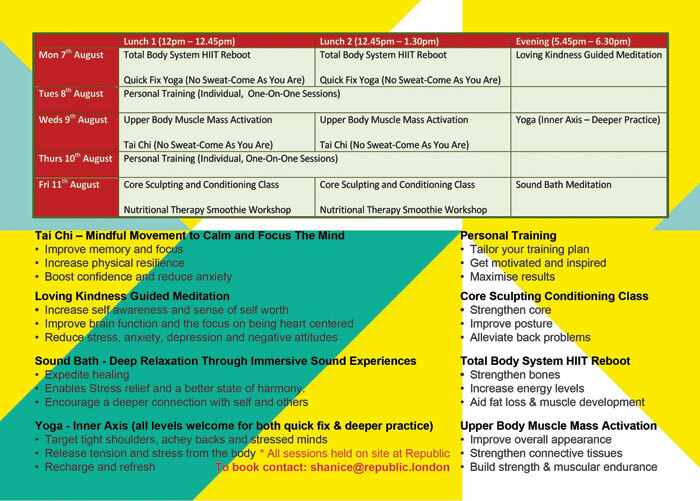 But wellness is not just for the large corporates. Nicola Rutt, a partner at architecture practice Hawkins\Brown, explains how the firm has put wellbeing high on the agenda from being a practice of 24, when she joined in 2000, to 270 now. The firm takes a holistic approach to the term: ‘Many factors can contribute to the wellbeing of staff , from the provision of fresh fruit throughout the week to our annual studio study trips abroad, but I believe the most important is having an office culture that promotes and stimulates creativity. This means being open, approachable and flexible, nurturing talent and giving our staff space to grow.’ The wellbeing agenda influences their work, particularly around creating the variety of spaces needed for different personalities, tasks and needs. And that’s the key. Just as workplace designers need to understand what staff do and set about creating spaces to support that work, wellbeing experts need to look at an organisation and its people and provide a variety of wellbeing initiatives. Some of these will be designed in from the outset, while others, such as pilates, fruit and a supportive management culture will change as the organisation itself develops. 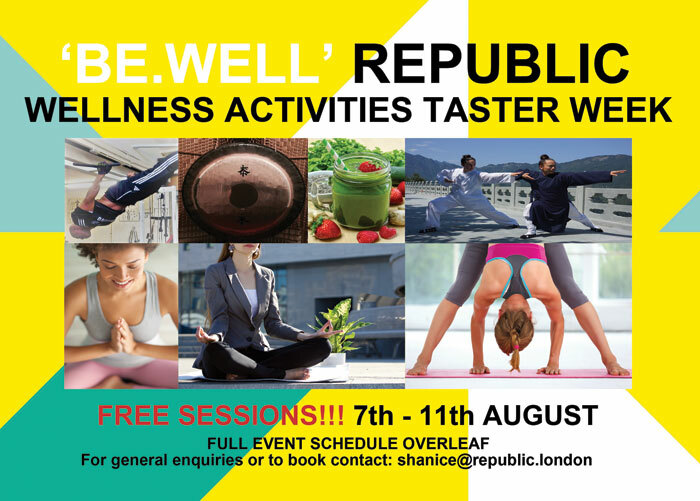 Wellness has been designed into Republic London, an urban mixed-use campus in east London, from the start. 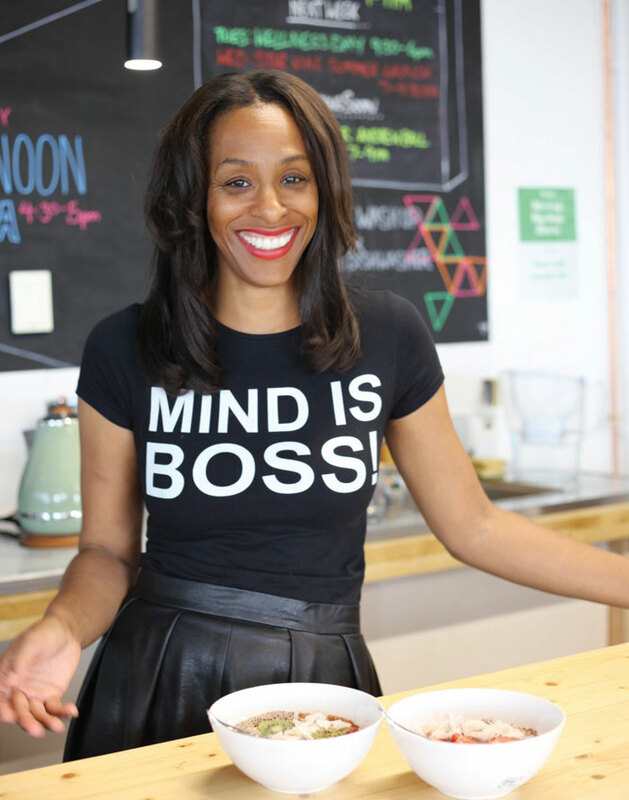 Developer Trilogy Property appointed a full-time wellness director and qualified nutritional therapist Nikkola Daniel to drive wellness throughout the 183,000 sq m campus. ‘our approach is to address personal as well as professional needs – for young creatives there’s a complete blur between personal and work life, the expectation that after work you can keep fit or hear a talk or see some art, and be online anywhere,’ says Robert Wolstenholme, Trilogy’s founder. ‘Our wellbeing is inextricably linked to our physical health. It embraces something much more difficult to quantify – how we feel. Failure to properly understand wellbeing leads many companies to pursue cringe worthy “coolness”, rather than a genuine attempt at creating happy, healthy and productive workplaces. Organisations must remember what is at the core of the wellbeing agenda: the need to humanise the work environment. And unfortunately, the addition of that soon-to-be unused football table, video-games’ console and sofa (for those daring enough to be perceived as lazy), or spacehungry standalone pods inevitably hogged by the resident introverts, just won’t cut it. ‘This is where profiling the individuals within an organisation can be helpful. A workplace that is best suited to the human needs of those who inhabit it must cater to differences in personal preferences around where, and how, people are most productive. Being able to choose from a variety of settings allows individuals or groups to select the environment that best fits the task at hand and their preferred way of doing it. To create the optimal workplace and ensure maximum RoI, facilities managers, senior management and HR must come together at the planning stage of a relocation or refurbishment, rather than trying to retrofit an established, rigid office layout.